From grocery to drug, hardgoods to general merchandise, how are retailers responding? face-to-face with The Innovation Imperative. 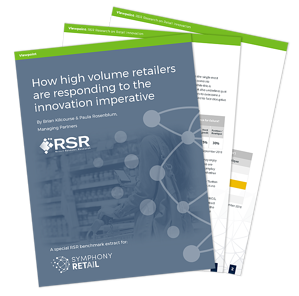 This special extract by industry analysts RSR Research explains why a transformation is long overdue for many FMCG retailers (grocery, drug and convenience) as well as those that retail hardgoods and general merchandise. The report also examines how retail winners are addressing the challenges and opportunities presented by the Retail Innovation Imperative.